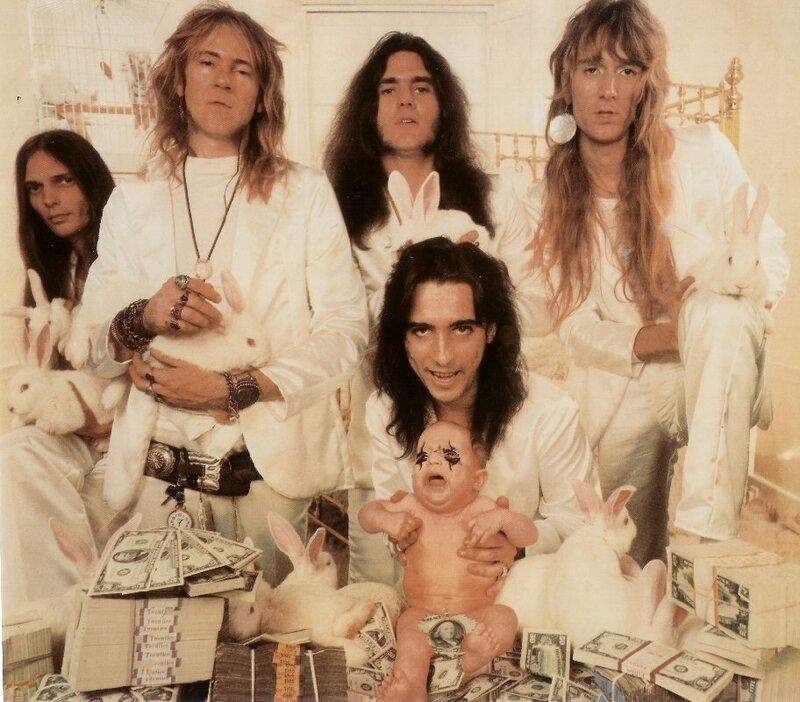 I don't know exactly how old I was, but when I first heard the drum intro to "Billion Dollar Babies" it made my heart skip a beat. It was something that drew me closer to rock and roll. I wanted to hear more great rhythms delivered with that kind of power and force, and as I discovered more of Neal and his music with Alice Cooper, it opened up a whole new world of rock and roll to me. Neal Smith, along with his other original Alice Cooper bandmates, joined the music I loved with a dangerous kind of theater that brought everything to a whole new level. Whetever you may think of the Rock And Roll Hall Of Fame and its politics, you can't argue against the induction of The Alice Cooper Band. They changed the face of music, and perhaps more importantly, they changed the way authority looked at rock and roll music. Where Elvis Presley was seen as lude and sexual, Alice Cooper was seen as a band of dangerous killers. Neal talks about the consequences of being in the world's most dangerous band: "We were threatened. I was carrying three guns at the time. After "School's Out" I had three guns in my bag walking on the planes and everything. Alice doesn't want to talk about that and that's fine, I can understand that, but I will talk about it because I'm not a person that's gonna have somebody come up and take a shot at me without some sort of protection." As I talked with Neal Smith in this interview, he put me on stage with the original Alice Cooper band. He walked me through those crazy, tumultuous times with his stories from the studio, the stage, and the road. I felt like I lived a little bit of the excitement of the time. I welcome you to take the same walk with Neal Smith by listening to our entire conversation. Hear Neal talk about the current Alice Cooper show: "It hasn't really changed since the original band; all the ideas that we came up with. If you took all of our stuff away from his show right now, there probably wouldn't be too much going on, let's put it that way. But that's great that he's still doing it and people still enjoy watching and are entertained by it. I still think he's one of the best lyricists out there." Hear Neal talk about working with producer and hitmaker Bob Ezrin (5:15): "His talent is immense. He became like the sixth member of the band. Bob certainly is gifted and talented and he knows how to make hit records." Click the play button on the embedded player above to hear the answers, and the rest of the interview in its entirety! *** Times listed above in parenthesis refer to the exact area in the interview where each particular item can be found. You've heard Neal talk about his new CD, "Killsmith Two," during the interview, now you can click on the link above to get to the Official Neal Smith website and grab a copy for yourself! Listen to another interview with Neal Smith! You can listen to DJ Tom Schulte, host of Outsight Radio Hours, talk with Neal about a host of interesting things. Click the play button, sit back and enjoy! !